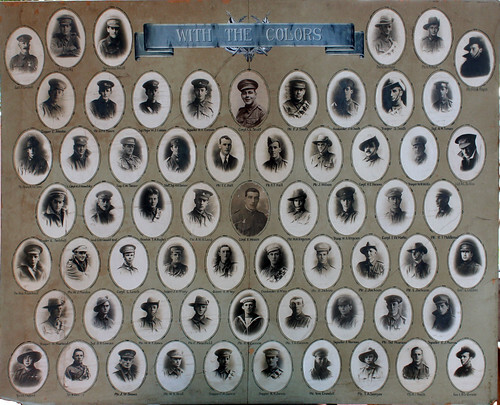 One of the 'Mosman boards' held in the Local Studies Collection featuring portraits of WWI service men. 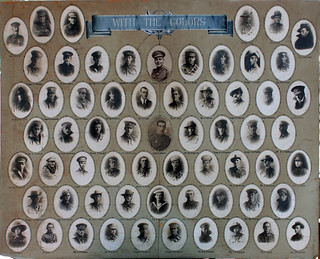 The boards are titled "WITH THE COLORS". The provenance of the boards is not known.